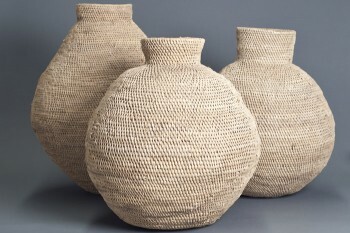 Buhera gourds are hand woven baskets from Zimbabwe used to store and carry grains. Sizes (XS - XXL) and shapes may vary. Prices shown below are an approximate, please enquire for specific pricing and availability. *The sizing also increases with width therefore some bohero's may be classed as a larger size.